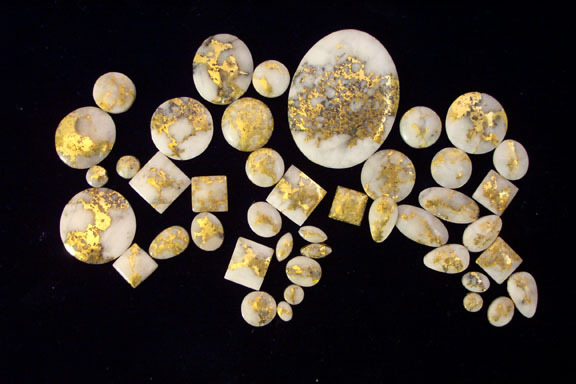 GRADE A: Exceptional white quartz with well defined gold patterns; used in the most expensive jewelry and jewelry containing diamonds. GRADE B: Excellent quartz with good veining patterns. Here's an example of cabs we have in stock.